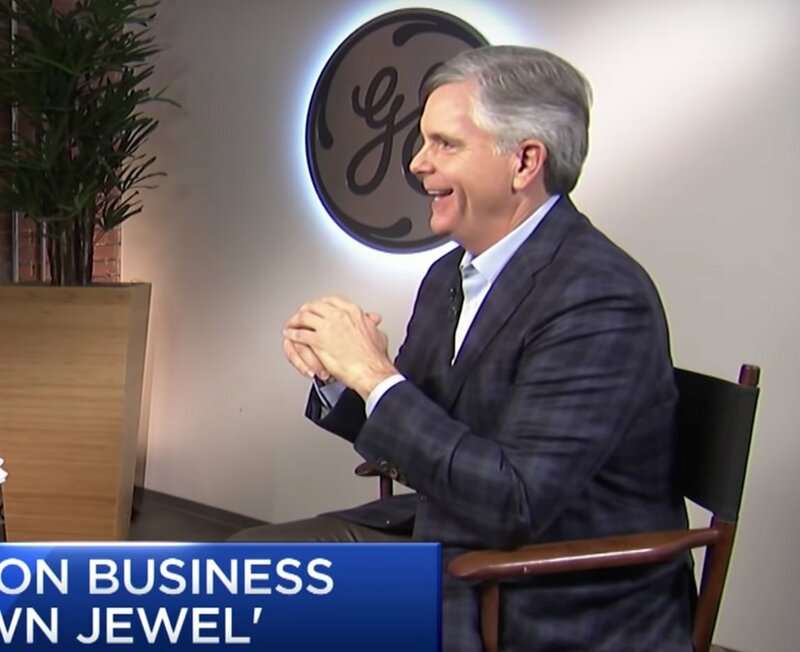 1/ On Monday 12 November 2018, GE's CEO, Larry Culp gave an interview on CNBC. What follows is a partial nonverbal analysis of that exchange and some recommendations and ideas I would propose if he were one of my private clients. 2/ In a business setting, with rare exception, a man should always wear a navy or black suit. Even light grey suits should be avoided, let alone plaid, or beige. Only navy and black suits command the highest authority, rapport, and influence. 3/ Mr. Culp should also opt for a solid-colored shirt (white or blue) with a tie. For the fashion-forward, this may seem very vanilla - but in a professional setting, this conservative color-scheme is important and proven. 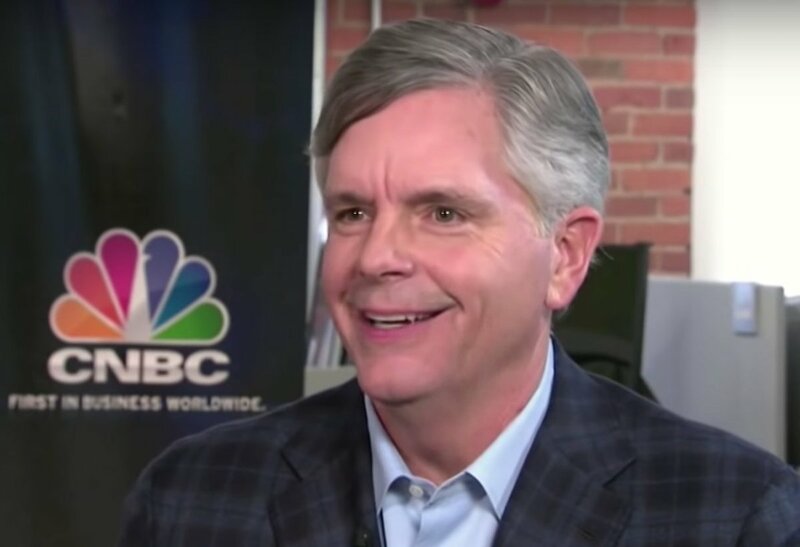 4/ Culp is the CEO of a cutting-edge corporation and his appearance - including his haircut should reflect a forward-looking fashion. No one expects him to be a model, but with respect to fashion, Culp's hairstyle is 1970esque. 5/ Throughout this whole interview, Larry Culp's voice cracks and is a bit gravelly. Along with his dry throat caused by anxiety, he also displays a multitude of very noticeable hard-swallows. These are often associated with Culp stuttering and stammering. 6/ In addition, Mr. Culp often performs a lip/tongue-smacking maneuver associated with his hard-swallowing/stuttering-stammering. These have a tic-like quality. 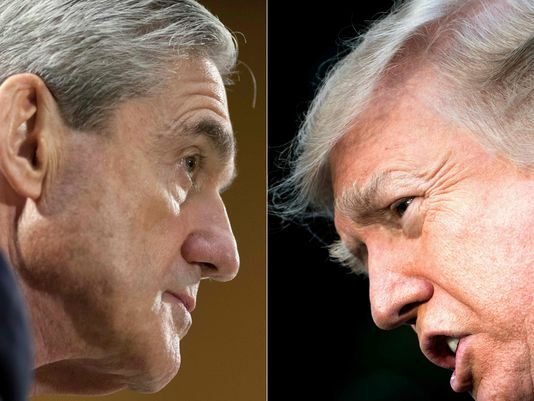 7/ This cluster of hard-swallowing, gravelly voice, stutterings-stammerings behaviors is secondary to his high level of anxiety - a pattern quite prominent in both amplitude and frequency. It's a real red flag. 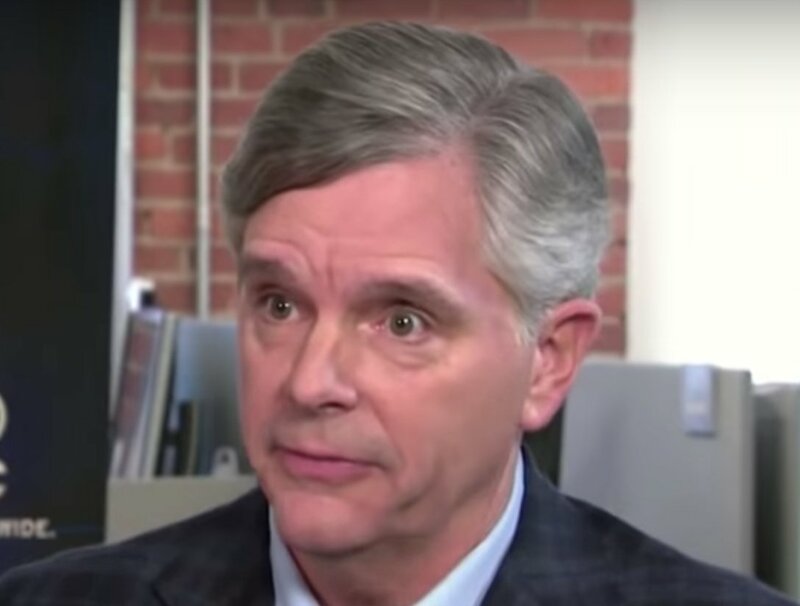 8/ Any layperson or shareholder would look at this pattern/characteristic alone and correctly interpret that this is a nervous man who's bit off more than he can chew. 9/ Another noteworthy pattern throughout the interview is that Larry Culp's verbal responses seemed as if he was responding as a politician. He should have initially answered definitively - following up with an explanation. 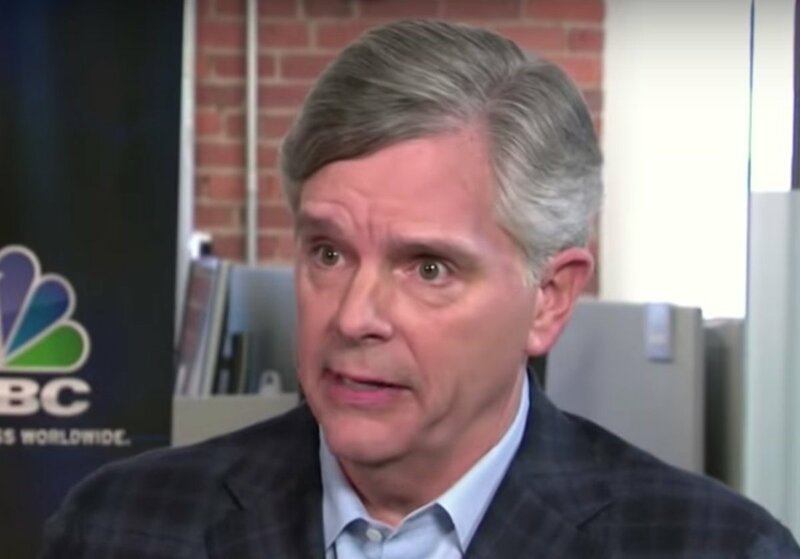 10/ Instead, Mr. Culp, like a lot of people with lower confidence, less experience, and/or who are relatively educated/cerebral - does not give a decisive answer, but rather, first delves into a more lengthy explanation. 11/ Responding to questions in this manner tends to lose listeners and importantly - makes Culp look weak, wishy-washy, and sometimes dishonest. 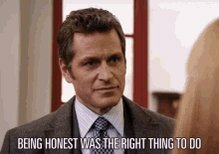 12/ In contrast, I would highly recommend he respond with, "Yes, and here's why ..." or "No, but let me elaborate on that ...", or "That's not completely clear, but here's what we're going to do ..."
13/ Many times, the GE CEO responded to questions in a manner which seemed to deliberately set a low bar, indicating his diminished confidence and feelings of instability. 16/ ..."Very much, a sense of urgency David" [in response to, "Are you going to quicken the pace of asset sales at this point? Is there a sense of urgency? "], etc.). 17/ You may have noticed the way Larry Culp was sitting. Captain chairs - particularly a design which are narrower as these appear to be are not recommended. 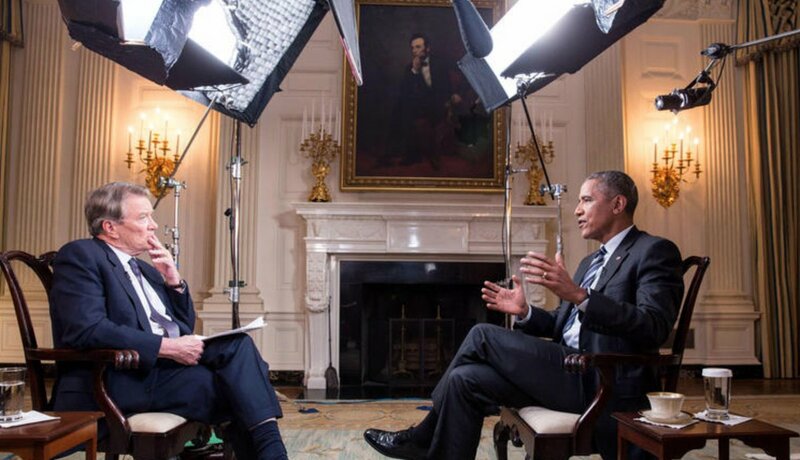 18/ While having armrests on chairs is important for the person being interviewed - if the chair is too narrow and especially if the armrests are relatively high - it forces the arms in an awkward configuration - causing the elbows/forearms to rest to high. 19/ This, in turn, causes the shoulders to hunch and upper back/neck to tighten - leading to increased anxiety and a substantially more beta appearance. 20/ Mr. Culp should exert more control of the interview process. 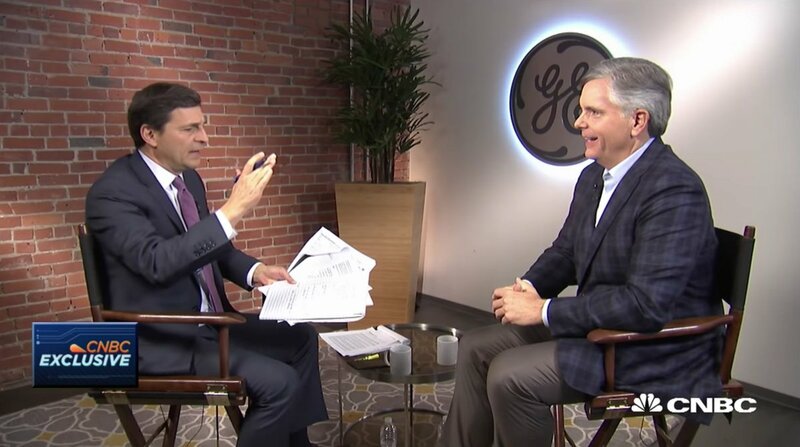 Surprisingly, although this was conducted in GE's office (home field advantage is always wise and should be prioritized), the interview set design was less suboptimal. 21/ Culp should instead use a chair which is a bit wider and with lower armrests. 22/ Mr. Culp should sit forward on the chair a few inches - such that his back and his buttocks are not touching the back of the chair. A slight forward lean with one's back - nothing dramatic, perhaps 10º - 15º is recommended. 23/ When we're fully engaged and enthusiastic in a conversation (or film) - and if we want to build influence and rapport - we should lean and position ourselves slightly forward in the chair. 24/ President Obama, while overall very adept with his nonverbal skills - also sat too far back in chairs and in addition, he often distanced himself further by crossing his legs in a European-style. This configuration is one reason why some of his critics thought him aloof. 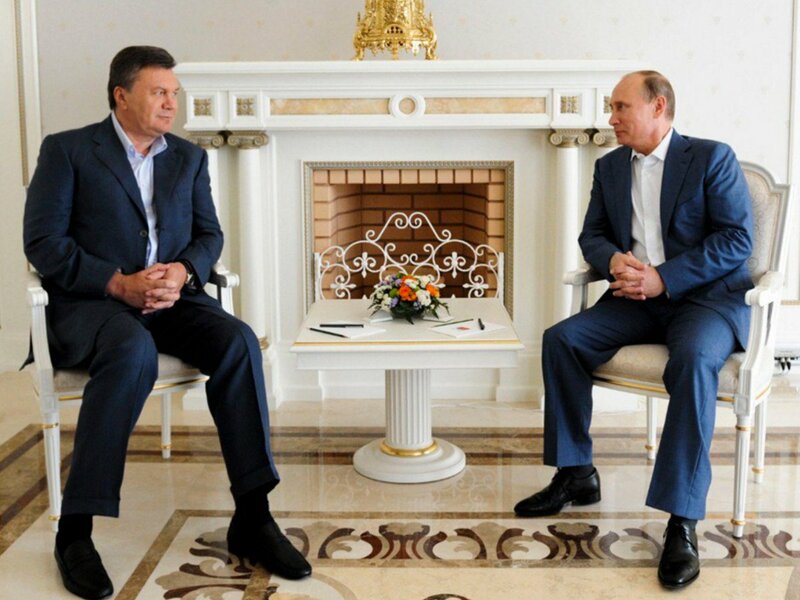 25/ If a man sits with his legs (thighs) spread very widely, this is colloquially referred to as "Manspreading" (technically termed "Seated Crotch Display" - à la Donald Trump and Vladimir Putin). 27/ The manspreading hyper-alpha seating style is offensive - and an approach that's certainly not recommended. 28/ Mr. Culp, however, goes a bit too far in the opposite direction, for his upper legs (thighs) are configured in a relatively beta manner - parallel and facing directly forward (and perhaps even slightly knock-kneed), rather than spreading moderately (e.g. ~ 25º - 30º). 29/ Sitting further back in the chair (particularly with the chair design seen here) prevents this approach - while forward sitting with moderate leg-spreading will up-regulate Culp's psyche and make him feel (and appear) more alpha, powerful, assertive, and confident. 30/ Intriguingly, it will also engender a greater fluidity to his speech. 31/ This is a hand position which should be avoided but is engendered by keeping the elbows resting on the armrests one's chair. It projects feelings of a hidden agenda (and conjures up images of Mr. Burns from The Simpsons). 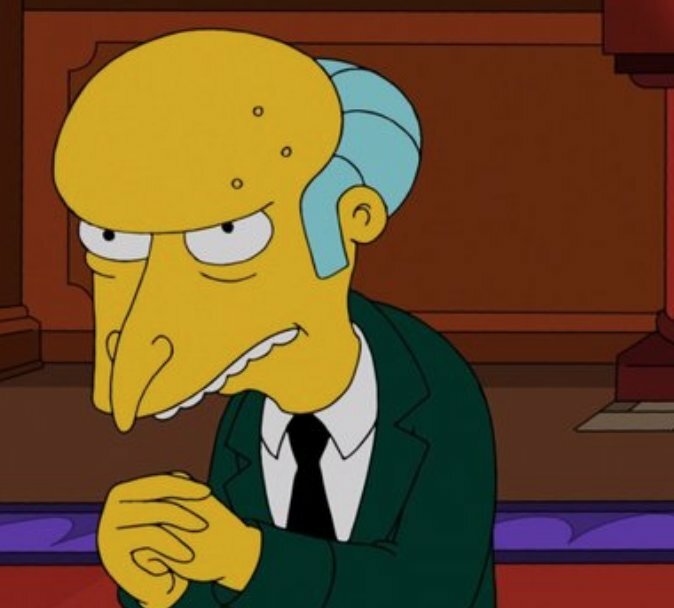 32/ Charles Montgomery Burns ("Mr. Burns", who, coincidentally, is the owner of a Nuclear Power Plant). 33/ While interviewers are used to the relatively close proximity one typically sits when conducting such interviews, most interviewees are not. This often makes them feel uncomfortable - as sometimes the interviewer encroaches into the interviewee's personal space. 34/ Thus, to partially alleviate this effect, the small table to the side of Culp's right leg should be removed from the set. 35/ Matt Lauer used to routinely cross his legs in a European-style and he would often touch his foot against the interviewee as an intimidation tactic. Among other things, this is a strong signal of narcissism. 36/ Notice too, Mr. Culp's foot and leg placement. With one leg/foot forward, and the other positioned a bit backward - it causes increased anxiety and lower confidence during an interview. 37/ Moreover, shareholders and the average onlooker will sense the lower confidence of a person seated this way. 38/ Depending on what the rest of the body is doing, this telegraphs the impression that a person wants to leave (like a date who is anxious to depart) - which is true with respect to this interview. 39/ The audience may also subconsciously take it as a sign of an ominous corporate forecast. He should have both feet flat on the floor, with equal forward positioning. 40/ Larry Culp should also slow down the pace of his speech. In doing so, he would better control the tempo of the interview. By answering quickly, he displayed anxiety and his diminished confidence (this also has a feedback effect of decreasing his confidence even further). 41/ Speaking more slowly would also lower the tone of his voice slightly, which would serve to up-regulate his alpha qualities (internally, with his own psyche - as well as from the point of view of onlookers). 43/ Larry Culp's staff should have asked in advance who was going to interview him and then reviewed his idiosyncrasies and prepared Larry accordingly. 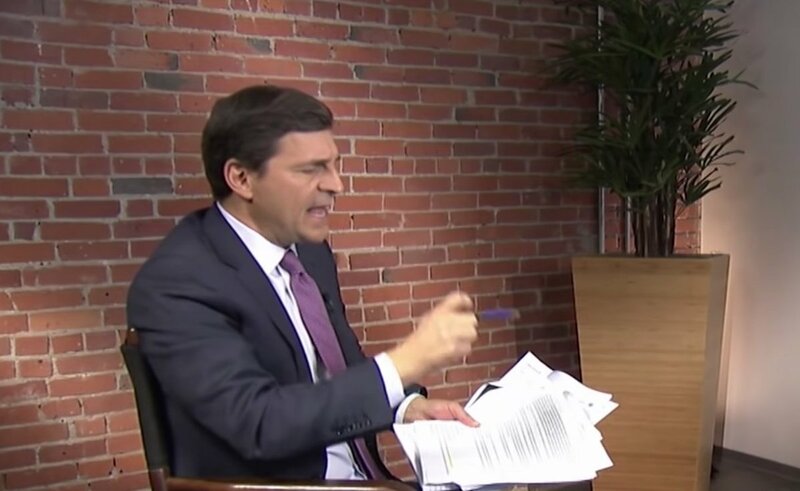 44/ David Faber (Culp's interviewer here), has the habit of holding a pen in his right hand and gesturing forward with it - in what is known as a surrogate-finger-point-hand-chop. 45/ This hyper-alpha dynamic is aggressive and intimidating. 46/ Unfortunately, there are a few news personalities for whom this as a staple of their interviewing style - despite it being a universally offensive gesture (slightly better than an index-finger-point-hand-chop [when no pen/pencil is used]). 47/ Culp's assistant should have performed their prep work and, a few days prior, asked Mr. Faber not to use this gesture (and with a friendly reminder just prior to the interview). 48/ Beginning at 13:16 in the video, Mr. Faber asks Mr. Culp, "Are you hampered at all in the marketplace by a deteriorating credit rating and by perhaps the longer-term concerns of some of those customers?" 49/ During this question, particularly the last portion, Culp is nodding up-and-down (in the affirmative). This body language is completely disparate from his verbal answer. 50/ Whenever the verbal and the nonverbal responses contradict each other - it's the nonverbal display which is telling the truth. 51/ Thus, Culp's verbal response here is misleading at best, and with high-likelihood, indicative of deception (Please watch the video, as the dynamic nature of this gesture cannot be captured in a single image). 52/ Mr. Culp should avoid the use of the word "folks" - this is both a dated and Americanized colloquial. 53/ Larry Culp dramatically over-uses the word "frankly" in this interview. This is a term he should eliminate from his vocabulary. 54/ Its use is a red flag, for very often it signals a lack of full disclosure and an attempt at manipulation. Most people associate its use with dishonesty and a patronizing tone. 55/ Culp repeatedly smiles out-of-context - this example occurring during 15:07 - just as he says "Nobody's happy" ("... Nobody's happy with, with [stutter] where we are today ..."). 56/ As this nonverbal display contradicts his verbal language, people will accurately interpret it as insincere and view Culp with suspicions. 57/ In this moment, captured during 14:14, we can see Culp blushing. This occurs as Faber remarks that in the past, the conglomerate model of GE was viewed as a positive quality - but it now appears to be "going the other way". 58/ Culp's smile in this instant is sincere - and his accompanying blushing (a sincerity amplifier) in this context connotes true embarrassment. 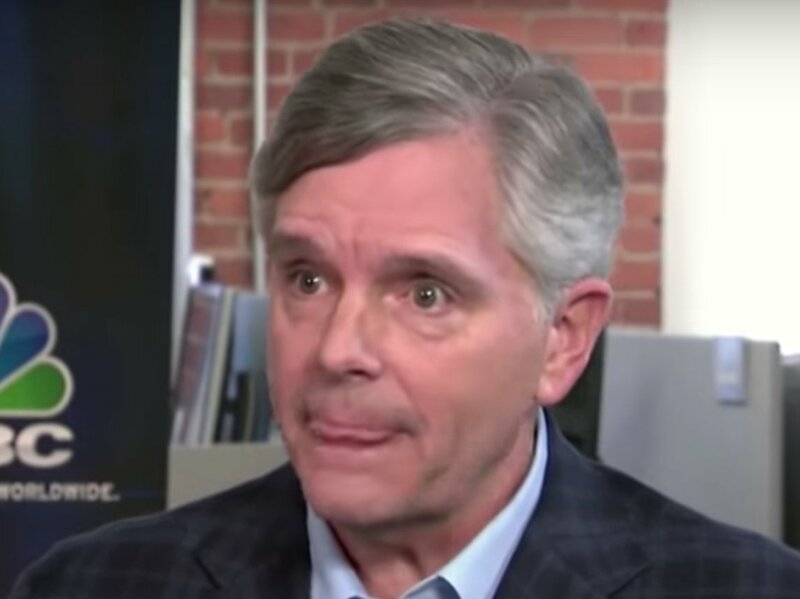 59/ Another interesting moment was displayed at the 3:00 mark as Culp's right eyebrow elevates as he says "through asset sales" ( "... we need to bring the leverage down and I think we've got plenty of opportunities through asset sales ...). 60/ This unilateral eyebrow/forehead elevation (assuming the entire forehead is fully functional, e.g., no Bell's palsy, no asymmetrically applied Botox, etc.) indicates his doubt. (Ergo, Larry Culp does not truly believe that asset sales will sufficiently lower GE's leverage). 61/ Larry Culp displays a multitude of unilateral eyebrow elevations while answering Faber's questions. Even a person with no body language training will easily and subconsciously interpret this as a person who is doubting their own words. 62/ A split-second later (still during 3:00), Culp's left eyebrow and forehead twitches. This microexpression - conveys an additional level of doubt. 63/ Immediately after this Culp displays a Hard-Swallow (one of many he commits during this interview) and smacks his lips. This is evidence of his dry mouth and throat - consistent with his elevated anxiety. 64/ Another second later (during 3:01), we see Culp display a Loose Tongue Jut - indicating the thought-emotion of "I've been bad", "I've just done a stupid thing", and/or "I've been caught". 65/ Although most people would not notice this signal or interpret it accurately, it's highly consistent with Culp disbelieving his own statement. 66/ SUMMARY: Larry Culp's nonverbal, verbal, and paralanguage (vocal qualities, cadence, rhythm, pitch, etc.) 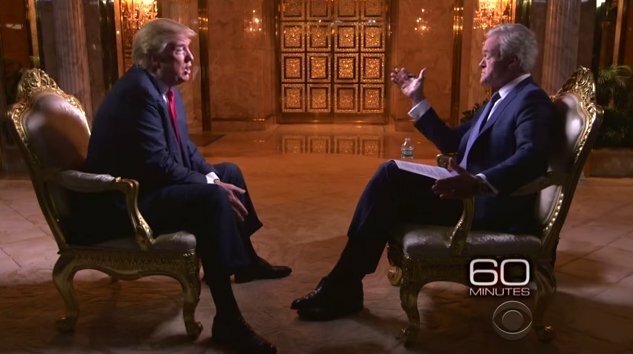 behavior during this interview indicates that his confidence level is low and he has a significantly heightened level of anxiety. 67/ He doubts a significant number of his own answers during this exchange. 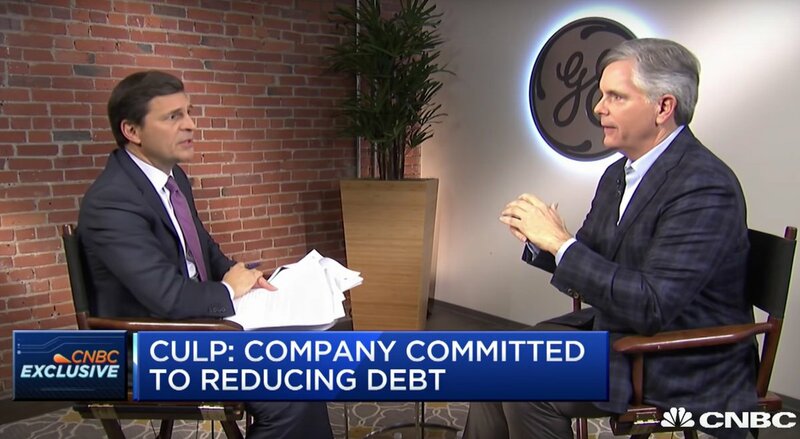 Mr. Culp's emotions are not simply being felt within the context of this televised interview, but also toward GE's prognosis in the near and mid-future. 68/ With very high probability, Larry Culp's low confidence and anxiety clearly displayed during this interview led to GE's stock sell-off. 69/ Larry Culp is not Tony Hayward - and GE's stock sell-off is not BP's Gulf Oil Spill. Yet Culp and Hayward would both have been well-served by ongoing media training. 70/ Such preparation is an integral component of the communication and PR skills needed to run a fortune 500 company - and a comprehensive approach to crisis management. 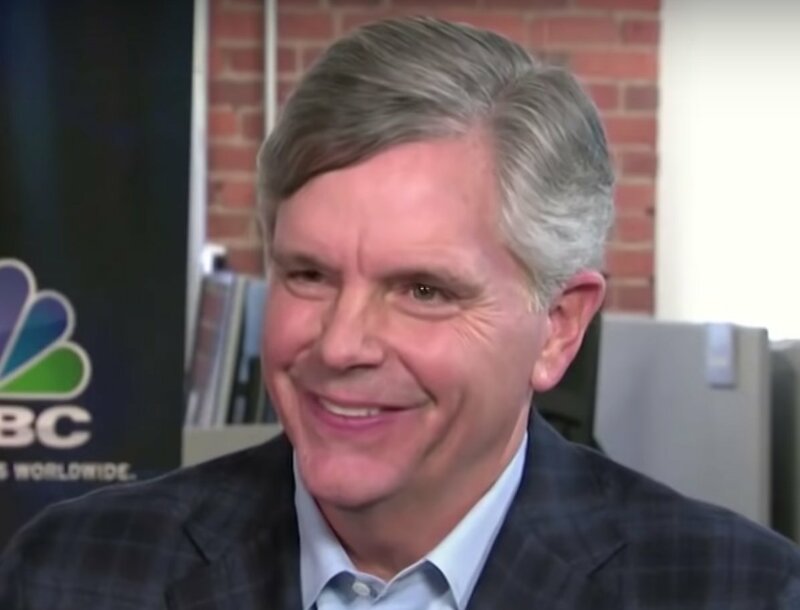 There's a high probability that Larry Culp's tenure at GE will last less than two years. 1/ Mr. Musk, With respect, please strongly consider a mission to intercept #Oumuamua. At the very least, it's the 1st Interstellar object. However, so many of its characteristics are odd enough that it may be of artificial origin. Such a discovery would be profound. I used to play this fun game about body language. We all learned a lot about non verbal communication. 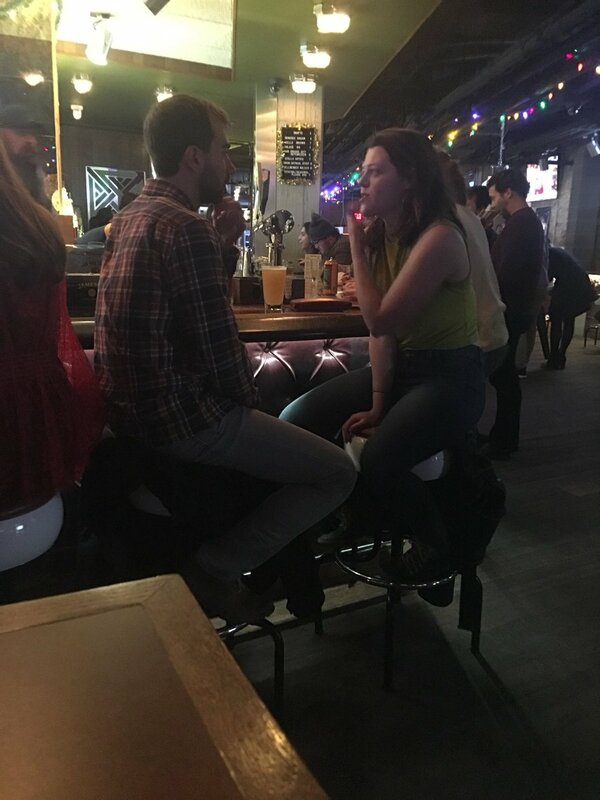 I show you a couple and you tell me what’s happening. 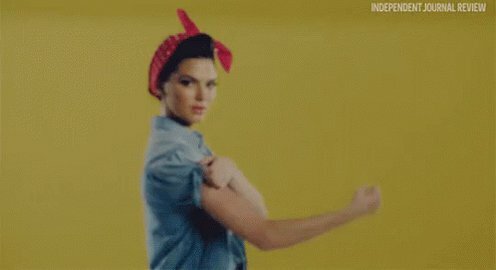 I should point out that her arm moved away from that position very quickly. They’re both wide open and facing each other. These are good signs. We communicate more with our bodies and attention than our words. The @The_Red_Hen can tell when my internal mental focus drifts away. We can be cuddling and she will know when my mind has gone somewhere else. Women especially are built to read minds. 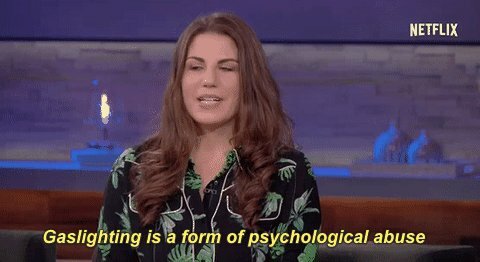 Do they also talk more with their bodies than men do? Is it harder today than 5 yrs ago for startups in Nairobi? Then you could walk into ihub or Nailab with only an idea, you didn't have to pay for a hot desk, it resulted in companies like Wezatele, sematime, eneza, etc. Not to mention, you found a ready willing mentor. Every other weekend there was a Hackathon. Hackathons help your idea grow & get validated, learn to pitch, meet other engineers, get feedback & if lucky you get some $ for OPEX. So corporate's stepped-in to fund that gap that NGOs left, but as usual they had self interest as businesses. 1. To protect their downside, they didn't want a 20 yr old Uni-kid surprising them & disrupting their entire business. 1) President Trump does politics. I have to get to the truth. 2) This Khashoggi thing has become important for another reason. I am here to get to the truth - I don't want a Deep State secretly running our lives. That means: Not here to defend Trump - defend the government - defend the Jewish people or Israel - sell books. 3) I am also not here to explain Trump - explain the government - explain the Jewish people or Israel - explain my motives. If you don't want to read my stuff, that's fine. 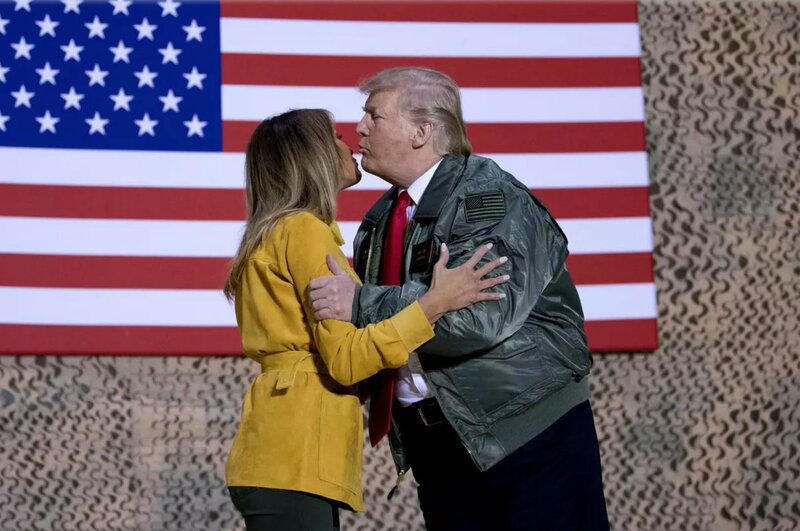 (1) I love studying the body language of politicians & celebs because it can reveal a lot about them personally, but also the bigger picture that affects us all. (2) I am a big supporter of Gina Haspel for CIA Director. She's extremely well qualified for the role and her statements so far in confirmation hearings have been excellent. The left are being their usual deranged selves and should be ignored as much as possible.